Terrell Daily Photo: Football already? The Terrell Athletic Booster Club voted for new officers during Monday nights meeting. The booster club meets the 2nd Monday of the month at the athletic complex. The next meeting is July 9th at 6PM. If you are a parent of a student athlete or someone who wants to support high school sports, join us next month. This months meeting was a week early, due to the Booster Club golf tournament next Monday at Twin Lakes in Canton. 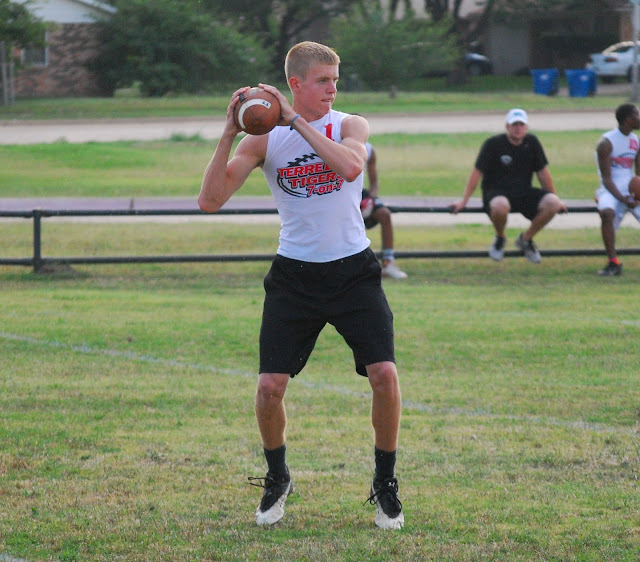 The Tigers 7 on 7 team began play last night in the Lancaster 7 on 7 passing league. More photos are on the Terrell Daily Photo Facebook page.